Mr Pratt allegedly died with a wife, some kids with that wife, and then perhaps two other spouses that were based in New South Wales. Those two spouses then made various challenges against Pratt’s estate. 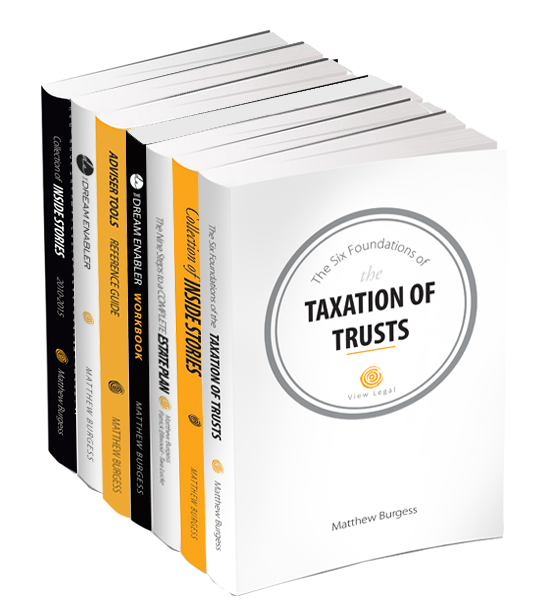 One of the challenges related to assets owned via a family trust. The structure involved a trustee company that had no individual shareholder. The shareholder of the trustee company was another trust. That trust was ostensibly for Richard Pratt. The parties accepted that this was the case and that he had ultimate control of the trust beneficially and probably legally. Importantly, that trustee company was setup in Victoria. 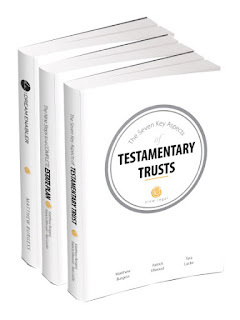 The trustee company was then a trustee of a standard family trust, other than this point, and that is Richard Pratt himself was not a potential beneficiary of the trust. This trust then owned shares in a holding company. That holding company was also a Victorian-based company. That holding company owned 100% of the shares in a further subsidiary company. That subsidiary company owned New South Wales property, being I think an apartment where one of the additional spouses was living at Richard Pratt’s expense. The argument of the spouse focused on the fact that in New South Wales, if you’ve got any asset in New South Wales, even if you died in another jurisdiction, the notional estate provisions can apply. Like many business owners, Richard Pratt didn’t have many assets that passed under his will. Thus, there wasn’t a lot to be gained from trying to challenge the will, unless the notional estate provisions applied. If they did, then assets of the trust (being the shares in the company group that owned the apartment) would essentially be deemed to form part of the will. What the court did was went through the notional estate provisions and methodically stepped through each aspect of the structures Pratt had put in place. Despite the apartment being located in New South Wales, the structure used meant there was nothing else that created a nexus between the deceased, being Mr Pratt, and the New South Wales notional estate rules. In other words, the assets could not be attacked. A previous post profiled the contribution I made to an eBook published by LegalTrek (see - Insights on the Journey to Value Pricing). For those that do not otherwise have access to the LegalTrek blog, a further article I have provided to them is extracted below. While the article focuses on the legal industry, arguably the principles apply to all professional service firms. Recently, we at View Legal started ‘Foundations for the Future’, webinars and one-day events, with the aim of broadening perspectives of how to structure professional service firms. The format is pretty straightforward. The presentation is delivered by me, Matthew Burgess, with significant audience participation, in the form of questions and answers. The content is focused on optimising the business model of professional service firms. During the workshops, we usually discuss specialisation, productisation, resourcing, and pricing models. This article explains why we at View Legal feel these talks are important. For those who don’t know, in 2014 I exited ‘biglaw’. My sense is that most of biglaw is very similar in its thinking, regardless of how many partners are in a firm. In biglaw, very few people are thinking anything other than the traditional model, charging in increments, and billing the hours. Many believe that small is the new big. From the start, View has known we can think and act differently. Our longest business planning cycle is 90 days. Disclaimer: It hasn’t always worked. But we keep experimenting. Why did we start the ‘Foundations for the Future’? In short: because it is important. The change in the business of law landscape is already taking place. Our overriding objective is to be part of the conversation, that we believe is very important. I felt we should not simply wait for others to initiate the discussion. So, we decided to do something about it. We didn’t want to be in a situation where we had an opportunity to share what we knew and did not act. Imagine us, reflecting in five or ten years’ time, only to find the industry has completely imploded and all of us are left with nowhere to go. 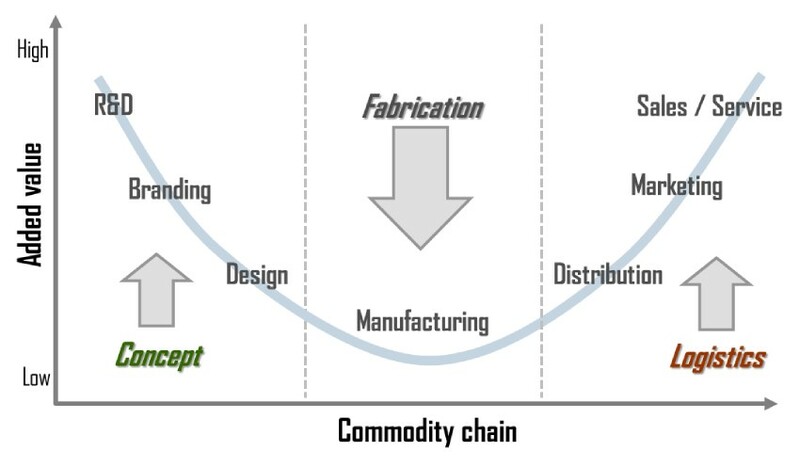 That’s what’s happened in other industries (e.g. taxis and Uber and driverless tech). However, I feel that the overarching question ‘How to face the future in a professional service industry’ is conceptually wrong. What we should ask ourselves is – What value does the legal profession bring to the community? It seems there is a wide acceptance that – ‘in the future’ – the legal profession will need to change significantly, to deliver a compelling value proposition. However, our concern is that the future is already here. So, we feel there is really no time to lose. This is why we have already started the discussion. What changes can you expect in the next three years? Let’s see if we can make some analogies, and learn from previous examples. The impact of technology has been seen across most other industries. It has been most dramatic in industries that are adjacent to professional service firms. Examples include the music, publishing, and consulting industries. Our view, however, is that technology is only ever an enabler for change, a catalyst in all industrial transformations. The work of thinkers such as Clayton Christensen (in the book The Innovator’s Dilemma) reinforces this concept. The solutions that are already gaining traction, at an ever-increasing rate in the professions, focus on the delivery of outputs to end-users. This type of business model is diametrically opposed to incumbent providers, that focus almost exclusively on input-generated value creation (in other words, recording time and selling it, according to an arbitrary hourly rate). We have a clear client trend toward those professional services firms that have changed their business model and stopped selling time. 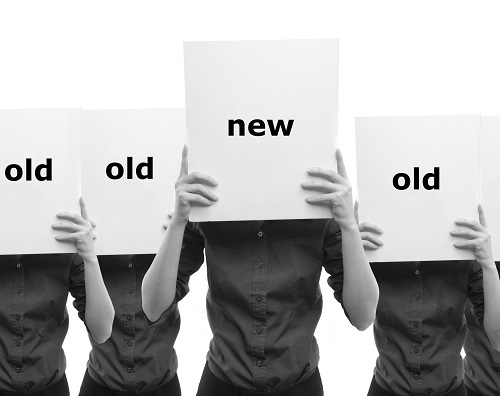 How should lawyers position their law firm for the “new normal”? My answer is simple – just focus on the results of your work, instead of your inputs. In other words – charge for the value you create, rather than the processes that you use (and the time that you spend). In our example, the starting point for our firm has been to focus our entire business on the outputs that we deliver, as opposed to the inputs that we create. This one change has had the single biggest impact on our ability to demonstrate our value as a firm. Based on our experience (and what we observed in other successful firms), until all participants focus fully on outputs, it is very difficult to achieve any substantive innovation. Let me give the example of Kodak. We all know what happened to Kodak. Kodak was doing a lot to remain the market leader. Except for one thing – they did not change their business model. They got stuck with their premise that people will ALWAYS want to print photos. Kodak used to say “We are in the film business”. Arguably, all they had to do to be successful was to say “We’re in the memory business”. Likewise, the only thing law firms need to do is to say “We are selling solutions” – and peace of mind – not hours recorded. What should the business model of modern law firms be? Without question, a business model that is focused exclusively on outputs created for clients is the only business model that is likely to be sustainably successful. Certainly, in all other industries, there is no role for providers wishing to charge clients based on inputs, as opposed to outputs. On this basis, we believe that ‘timeless’ law firms should be the universal pricing model for every firm. But it is actually not that difficult at all to think outside of the box here. Take thought leader Ron Baker, for example. Every year, he wants to either give away or discard, all the knowledge that he has, by the end of the year. Ron Baker says the only thing that keeps him relevant is if he is constantly renewing the way he thinks. So, letting go of his knowledge will force him to renew his learning, and he will continue to be relevant. The point here is that if you’re not disrupting, or trying to destroy, your current most successful business, somebody else will be. If you’re not disrupting or trying to destroy your most profitable, most successful part of your business, that’s fine. But accept that somebody else is doing that, right now. Can lawyers use outsourcing, and if so, from where? The model that best explains our views about outsourcing is known as the Stan Shih ‘Smile Curve’. Stan Shih is the founder of Acer, a technology company headquartered in Taiwan. In other words, law firms should focus on strategies that will bring them more business. Including (without limitation) finding their right niche, positioning, putting the business development team and/or lead generation system in place, designing products, and experience around the service delivery. 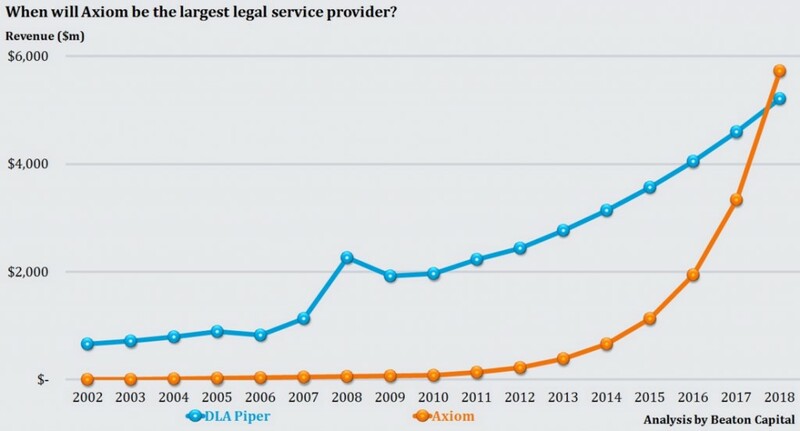 The middle part of the Curve illustrates lower effort on the law firm’s end in terms of the actual service “manufacturing’’ (or rather, delivery). This means law firm still must be hands-on in terms of controlling the process, but it would be wise to outsource most of the elements, if not all, from this value chain segment. Based on these principles, in our business, we actively look to outsource (whether to computers, onshore providers or offshore providers) everything other than conceptualization and sales. Indeed, even with conceptualization and sales, we also seek specialists, with non-legal backgrounds, to assist us to achieve best practice. Why is P3 (process, product, and pricing) important for law firms? P3 is widely recognized as the cornerstone of any successful professional services firm. Somewhat ironically, however, in a firm that focuses on inputs (time billing, or even time recording), the level of innovative thinking that is applied to any of the P3 tends to be limited. Arguably, it only makes sense to focus on processes, pricing, and productisation, once you have decided to move away from the billable hour. Where a professional services firm focuses on the value it creates, then this tends to create significant improvements in each aspect of the P3 areas. Again, once you focus on value-based pricing, in the true sense of that meaning, you will have no obstacles to improving any of the P3 areas. Productisation of solutions becomes a core competency (if not immediately, then over time). The journey from time billing to fixed pricing, to value pricing, to segmented and tiered value pricing, is a natural evolution as the firm’s skills in pricing continue to develop. The science in relation to disruptive innovation (as first explained by Clayton Christensen, in The Innovator’s Dilemma) is compelling. In short, the theory explains that disruptive entrants to a legacy business model tend to start at ‘the bottom’ of the industry. The disruptive firms use technology to undermine ‘low hanging fruit’, in the businesses of the incumbent firm. You can draw parallels here and see that this is exactly how NewLaw act today. NewLaw has focused on the legal work at the bottom of the value chain. That is the work which can be most easily productised. At the same time, incumbent law firms simply start disengaging from those practice areas, on the basis that they are becoming less profitable, and they wish to focus on more profitable areas. In other words, law firms forego those standardized areas. However, they do not change their business model. As a result, they remain large inefficient machine, but with a smaller market share. In time, the NewLaw will start to move up the value chain. The range of practice areas, that have been subjected to disruptive forces, continues to grow quickly, across areas such as conveyancing, general commercial work and even more specialized areas, such as intellectual property, estate planning, and industrial relations. Also, at least some (if not many) of the highly specialized ‘best in show’ lawyers are becoming disenchanted with life inside the ‘biglaw’ machine. 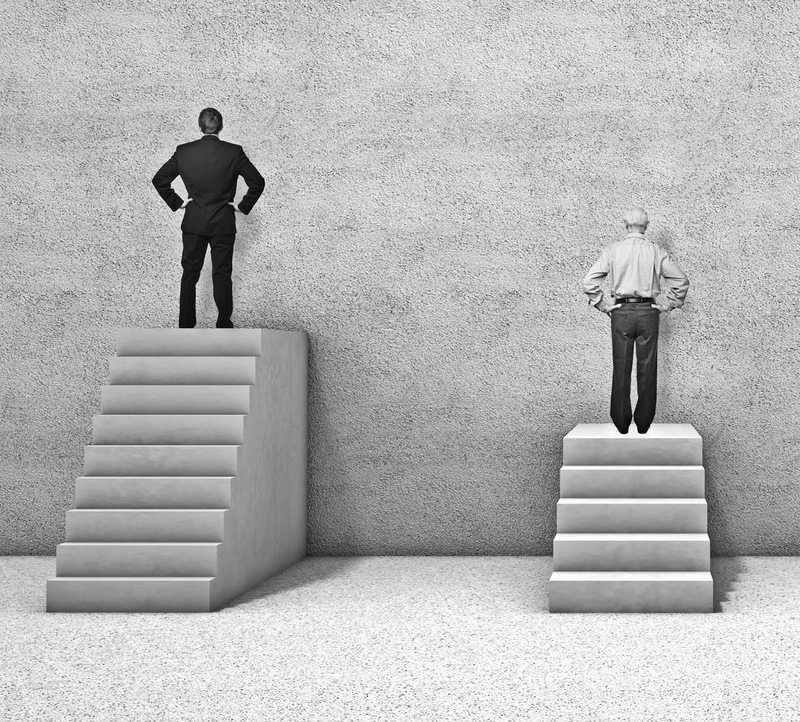 These highly talented lawyers are leaving larger firms at an ever-increasing rate. Similarly, the number of international firms entering even the smallest markets means that much of the talent that is not setting up their own firms is joining these large multinational firms. Essentially, many incumbent firms are ‘stuck in the middle’; losing talent and work at the very high end of their client base, and losing work at the bottom end also. What is our experience with value pricing? For us, value pricing has been a journey, with a destination we accept we will never arrive at. 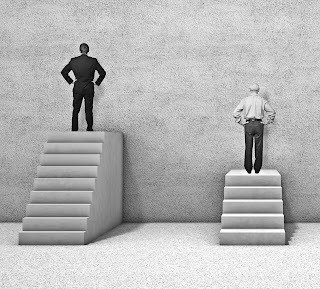 A threshold question of pricing is: How do you fixed-price litigation work? Now, I’ve never done any litigation work, but we do M&A work, and I would argue that an M&A transaction is largely analogous to a litigation matter. You’ve got no idea where it’s going to go. You’re totally in the hands of both the client and the other side. There’s no definite timeframe. It can change on an hourly basis. The answer to pricing this type of work is all about the scope, in other words, competent pricing is all about competent scoping. One way to look at value-pricing, is to decide what is a fair price to be charging the client? The fair price is the most that you can charge the client with the client still endorsing your firm to their friends, and actually coming back and using you again – Not necessarily happy, but willing to be an advocate. That, in a sentence, is what value-pricing is about. This is just a journey. Don’t ever feel as though you’re getting close to being perfect about value pricing because you never actually get there. Should law firms burn the timesheet? What is the substitute? Until we, at View Legal ‘burnt the time sheets’, our sole focus was on what would be ‘chargeable’. Having abandoned timesheets and embraced a timeless organization, our focus immediately changed to “what is valuable”. While the journeys of other firms may be different, when we look at the industry, the common theme about the firms making real and tangible progress is that they do not track time on timesheets in any manner. The substitute for timesheets is, in our experience, a very personal one. Number one is the “Shipping”. This concept has been popularized by leading thinker, Seth Godin. Counter-intuitively, even though we do not track any time spent on a task, we religiously track the time it takes for us to fulfill a promise to a client. In other words, how long it takes between agreeing a tranche of work and completing it? Next, we regularly conduct “After action” reviews. Since we constantly want to improve our overall performance, after action reviews are the only tool that allow us to capture the key conclusions from any piece of work in real time. Finally, we have “Fun and flow”. The concept of flow is an entire topic in itself. It focuses on achieving excellent levels of performance, and ultimately provides the foundation for a more easily understood concept – i.e. having fun. 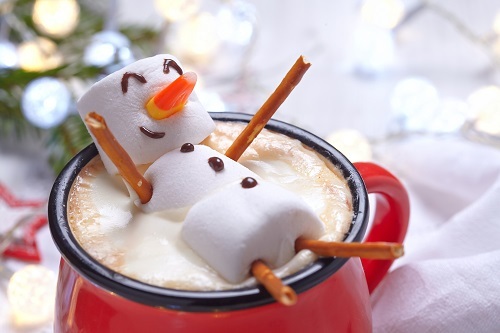 Are you having fun at your law firm? How about your employees? The decision in Nolan (email me if you would like a copy of the judgement) is interesting because former parents-in-law of a spouse actually released all of the material around the estate plan to the former son-in-law, before their lawyer raised that the material might actually be privileged. When the issue was reviewed, the court held as a general rule, estate planning material of the parents of a couple is privileged. In Nolan however, the court held the parents had already released the information and therefore no privilege attached to it. This is because privilege is the client’s privilege. Once they waive it, that's the end of the discussion. Another privilege case in the family law space to remember is Kern. As usual, if you would like a copy of the judgement, please email me. In Kern, the parents had arranged for vacant land to be transferred to their daughter and the son-in-law. The daughter’s argument during the litigation with the former husband was that clearly the asset had come down ‘her’ side of the family and clearly that needed to come back to her benefit under the family law settlement. Not an amazingly complex argument and one that the court was comfortable to agree with. Where it started to get somewhat more interesting was that the daughter then argued she and her parents had transferred the land to her for (say) $100,000, when it was actually worth (say) $400,000. The reason for the transfer being significantly undervalued was to minimise the tax and stamp duty otherwise due and payable. The family court gave the wife the uplift to $400,000. However, the undervalued transfer breached specific provisions under the stamp duty legislation. So while the court acknowledged the argument and gave an effective benefit under the family law settlement to the wife, the court also immediately sent the matter to the criminal investigations division at the Stamps Office. Again, generally this information would be protected by privilege. However, as the wife was the one that submitted it into the court, she waived the privilege. One of key goals at View is ensuring that we have ‘written the book’ for every aspect of the law we specialise in. Following the successful launch of books in estate planning, tax, trusts, entity structuring, testamentary trusts, SMSFs and business succession, we have now developed and launched another book – 40 Forms of Trusts – workbook. The concept of a trust is in theory relatively simple – one party (the trustee) holds assets for the benefit of others (the beneficiaries). 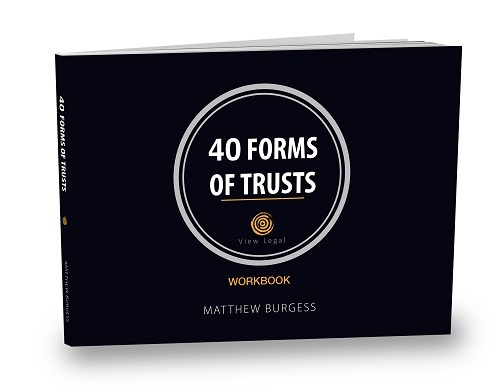 Counterintuitively, the relative simplicity of there being only a few core elements has meant there are almost a limitless number of forms of trusts. Indeed, over time advisers and clients alike have largely only been limited by their imagination in terms of the way in which they craft any particular trust deed. The workbook also has a number of key checklists for use when establishing a new trust or reviewing an existing trust. Everyone who likes or shares this post will go into the draw to win a free copy of this book. 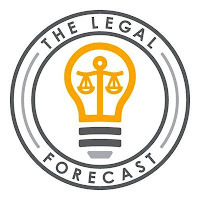 The Legal Forecast is an innovative community that aims to advance legal practice through technology and innovation. It is a not–for–profit run by early–career professionals who are passionate about disruptive thinking and access to justice. 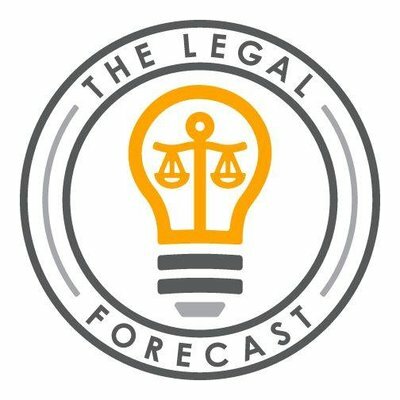 An interview I gave to The Legal Forecast is below, addressing a number of key issues facing lawyers and the professions more generally. What is your advice for law students who aspire to work in a virtual law firm like yours? How can they best equip themselves with the skills necessary for the job? The skills to work in a virtual law firm are arguably no different to any other work environment, however, our experience is that they are brought into more sharp focus, more quickly than what might otherwise be the case. embrace the concept of making choices in each moment that lead to positive habits. Invariably, this involves choosing to do what must be done, as opposed to what is invariably ‘easier’ from moment to moment. 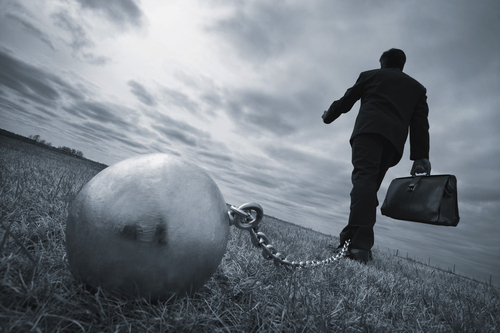 What is the biggest challenge facing the legal industry? Without wanting to be seen to be avoiding the question, my sense of things is that the biggest challenge facing the legal industry is the number of significant challenges arriving almost simultaneously and creating what some might argue is a ‘perfect storm’. The first time in the modern history of law firms that it is a sustained buyer’s market. The pace of technology change outside the industry has for some time now been significantly faster than the pace inside the industry. The number of other adjacent industries where the incumbents have seen their protected position evaporate in a very short period of time means that it is difficult to build a coherent argument that the legal industry will not face a similar outcome in the short term. The steadfast refusal of incumbent firms to take any serious steps to adopt a new business model is almost comical for those outside the industry. Any firm that tracks time in any manner (other than the lag time between receipt of instructions and delivery of a usable solution to a client), ultimately, views all aspects of their organisation through a lens of chargeable units. While the industry continues to debate the issue ad nauseam, the firms that are growing exponentially left timesheets behind some years ago. There is then a myriad of other related impacts such as offshoring, AI, aggressive entry into the market by accounting firms and online providers, freelancing models, blockchain, augmented reality, big data and growing in-house teams. How would you describe the difference between technological disruptions and innovative disruptions to the legal industry? Certainly, in other industries, the technology disruptions have only ever been an enabler to the more innovative business models. In other words, it is the application of the technology that drives the truly sustainable changes, not the underlying technology itself. There are countless examples of this. The one that is arguably the most stark and easiest to understand is that Kodak had the technology for digital photography over 30 years before Instagram was created – the technology was not new; the application of it was. Do you envisage a change to the structure of the legal market; that is a move away from the traditional boutique, mid-tier and top-tier categorisation of law firms? There are numerous extremely insightful thinkers that have answered this question in great detail. For example, see the work of Richard and Daniel Susskind, Chrissie Lightfoot, Jordan Furlong, George Beaton and Imme Kaschner. In other words, it is the firms that are extremely nimble (for example, many firms, of which ours is one, have business plans that last no longer than a maximum of 90 days) or exceptionally large firms that essentially ‘own’ the client relationship (the big 4 accounting firms are a good example) should both have sustainable businesses (although for differing reasons). 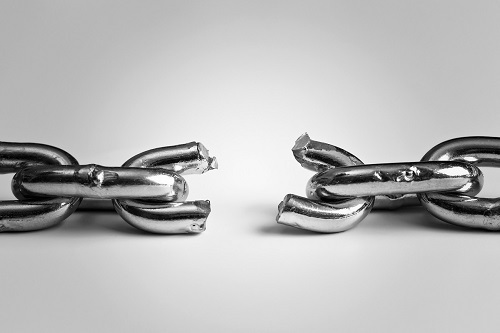 Firms that are not extremely nimble or absolutely in the very top tier (as defined by buyers, not a firm’s marketing team) are likely to struggle. You have stated that the ‘disruptive business model requires funding, resource allocation and working environments that are significantly different from those of the traditional firm’. Do you think we will see the larger firms with more funding creating disruptive business models whilst smaller firms struggle with a lack of resources? Perhaps, counterintuitively, my personal experience has been that access to funding is one of the single biggest impediments to true disruption. As has been profiled on many occasions previously, Clayton Christensen’s theory of disruption (i.e. the innovators, or perhaps more accurately incumbents, dilemma) is largely based on the concept that incumbents with adequate resources find it impossible to compete with disruptive firms with inadequate resources, because the disruptive firms simply do not play by the same set of rules. Some large firms in other industries have been able to beat this challenge through a variety of techniques (Apple and Cisco are 2 high profile examples), however all of those techniques require a way of thinking that is (in Christensen’s view) almost impossible for incumbent firms to embrace. 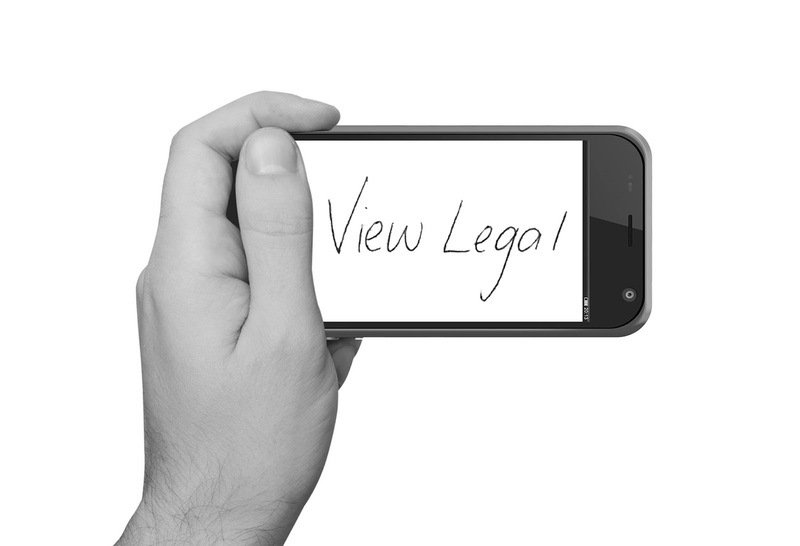 View Legal is completely virtual and all team members enjoy flexibility around their work arrangements. 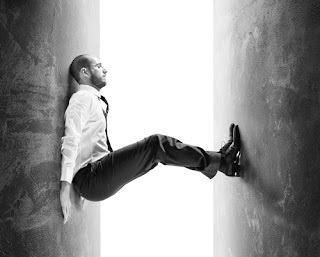 How important do you think flexibility is to the delivery of legal services? For us, flexibility is a necessary, although of itself not sufficient, requirement. While there is obviously a myriad of very important interrelated concepts, we generally refer to the ‘3 Fs’, being flexibility, fun and flow. Unless team members are regularly accessing each of the 3 Fs, then our ability to deliver outstanding solutions for customers is going to be tenuous. What is a quote you often live by? Yes – too many to list out here (indeed, every week, I publish at least one quote on Twitter, see – https://twitter.com/matthewwburgess?lang=en). 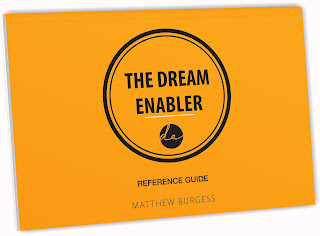 Two of my books are also focused around key quotes, namely The Dream Enabler Reference Guide (see – https://www.amazon.com/Dream-Enabler-Reference-Guide-ebook/dp/B01BHOAJX0/ref=asap_bc?ie=UTF8) which is in essence the original business plan for View Legal, and ‘Laws for Life’ – the link here takes you to a free download for this book – https://viewlegal.com.au/laws-for-life/, the password is – laws4life, (please delete any pre-populated password). This said, I was reminded recently of the quote that I put in the yearbook on graduating high school, which arguably remains relevant, from Friedrich Nietzsche, namely ‘Without great suffering, there can be no great excellence.’ In other words, if disruptive innovation was easy everyone would be doing it. When you think of the word ‘successful’, who is the first person who comes to mind? Why? This question is similar to the quote question – extremely difficult to answer. 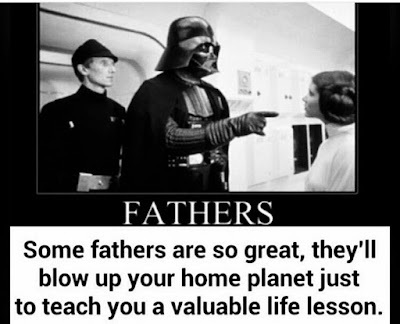 In saying this, the first person I thought of was my wife Dyan. Whenever I think I may have too much going on, I never have to look very far to realise that I have it very easy. She successfully combines her own business, running our personal investment partnership, raising our 4 children (aged 7 to 13) and mentoring me. Protection against spouse or relationship difficulties. For ease of security arrangements – a financier may prefer to see the at-risk spouse’s name on title documentation. Stamp duty savings. It should be noted that in most states there are concessional provisions which apply where one spouse who owns 100% of a family home and transfers 50% (but no more or less) to their spouse. Indeed, some states, such as Victoria, allow the transfer of more than 50% of a home without any duty costs. A recurring issue in relation to the ability to use electronic signatures is the approach of the ASIC in accepting documents that are not ‘wet’ signed. In general, the Electronic Transactions Act does not apply to documents required to be signed under the Corporations Act, meaning ‘wet’ signatures are usually required. That said, the Corporations Act allows a company to maintain an electronic company register (rather than a physical register) provided that a hard copy can be printed and made available for inspection if required. ASIC’s electronic lodgement protocols specify that (subject to some exceptions) an agent who lodges a form electronically must retain the hard copy original and produce it to ASIC on request. If a company wishes to maintain an electronic register and the electronic storage device is not located at the company’s registered office, it must lodge a form 991/992 (notice of location of books on computer) within 14 days and a form 909 (notification of office at which register is kept) within 7 days. In addition, if the location of the register is changed, a form 909 (notification of office at which register is kept) must be lodged within 7 days. Given the limitations of the Electronic Transactions Act, somewhat frustratingly, the conservative view is that all company documents should be signed with a ‘wet’ signature and then scanned for the electronic company register, rather than an electronic signature being applied. As mentioned last week (9 reasons you should give away your IP in books) we have invested significantly in the ‘publish or perish' mantra. The majority of our books are independently published. This means that we retain complete control over every aspect of the publishing process and it provides us with significant flexibility to share our content with advisers. When combined with our ‘why’, which most succinctly is simply ‘for friends', it creates interesting opportunities – hence the title here referring to the ability to publish your own book within 48 seconds, as opposed to taking 48 weeks, 48 days or even 48 hours. For us, being for friends, means that all of our published content is able to be utilised by advisers however they feel may be valuable. For example, in relation to our weekly blog posts, advisers can use this content as often as is relevant and, as long as an adviser checks with us, it can generally be entirely rebranded as an adviser sees fit. Design the cover and branding specifically for the relevant adviser. The adviser creates a foreword (and indeed any other content the adviser wishes to contribute) - and our publishing team is able to help with any, or all, aspects of this process. The next alternative retains the existing cover design and branding, however the adviser creates the foreword and any other content they wish to include for a ‘special print run’. 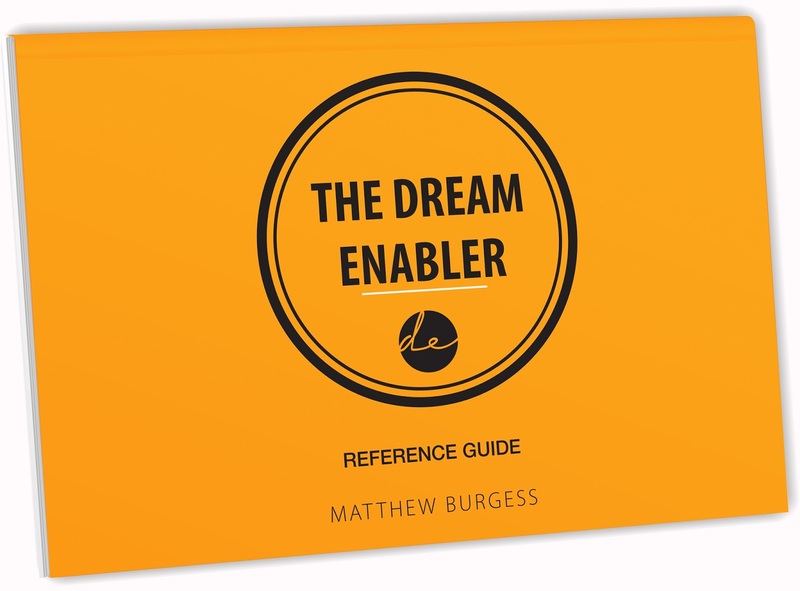 The final approach retains the relevant existing book ‘as is’, however a specially designed bookmark promoting the adviser is created for the adviser to hand out with every copy of the book. There is a significant amount of flexibility in relation to the ‘bookmark’ it can be a traditional bookmark, a postcard, trifold flyer or even a dust jacket. Regardless of which approach is adopted, our experience is that within around 48 seconds, an adviser can make a decision that best suits their objectives and have access to what we believe is the new standard in a ‘business card’ being one that cannot be easily thrown away. To learn more about the books we currently have published (including 4 business books and our best selling lawyer and accountant joke books), click here – https://viewlegal.com.au/product-category/books/, or have a look at our 25 second promo video here - https://youtu.be/a2ot00NAb24. If you would like to explore how to publish your book, email events@viewlegal.com.au or phone 1300 843 900. Again - all comments or likes of this week’s post will go into the draw to win a copy of the book. 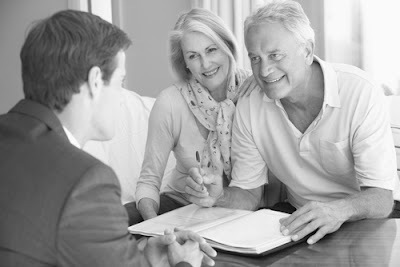 The rules in relation to witnessing wills (see the following post - Signing estate planning documents) and power of attorney documents are mandated by legislation. This said, the rules for witnessing power of attorney documents are frustrating given each state has its own regime (see further comments in our earlier post - Witnessing powers of attorney). At one end of spectrum NSW essentially mandates that lawyers must witness whereas in WA there are dozens of categories of eligible witnesses including virtually all professions. With other legal documents the rules are less certain and unfortunately will often depend on the application of internal rules by third parties. Generally with most deeds they may be witnessed by one or more witnesses, not being a party to the instrument. While generally not strictly the position at law, the witness should ideally also not be related to anyone in the deed (for example, spouses should not witness each other signatures). Practically, if documents are provided to (for example) a bank, the bank will generally require an independent 3rd party witness, regardless of the legal position. Indeed, often financiers will refuse to accept any document where a witness has the same surname as the person whose signature is being witnessed. Furthermore, often the bank’s position on refusing the validity of the witnessing does not come up until very inconvenient moments; often triggering significant time delays and unnecessary costs. If you go back many years to the introduction of the Division 7A regime in the late 1990s, early 2000s, one of the anti-avoidance provisions that they brought in was ultimately set out in subdivision EA of the Tax Act. These rules said regardless of any other provisions, if a distribution was made out of a trust and it was left as an unpaid present entitlement (UPE) to a company and there was then a debit loan made by the trust, that debit loan has to comply with the Division 7A rules. In this type of situation, some advisers try to argue that if the funds are lent out for income generating purposes and the interest on the debt is deductible, then the loan is not caught by Division 7A. The reality however is that the loan is a significant tax problem. In this particular case study scenario, there were two key problems. Firstly, there was an EA problem because the trust had made debit loans when there were UPEs to a corporate beneficiary. In addition to the EA loans, there had been purported distributions by the trust to the wife over many years. However, the wife was not a beneficiary. So not only was there the big EA problem, there also had been a whole raft of distributions over many years that were completely invalid on the face of the trust instrument. Ultimately, the parties entered into a settlement where the husband took over control of the trust, the wife got paid out all of her loan accounts, and was entitled to keep all of the historical distributions. Now the interesting aspect is that the wife and her family lawyers asked for a tax indemnity in relation to both the failure to comply over the years in relation to EA and the inability to read the deed and thus the invalid distributions to the wife. Then, three months after the wife had been paid out, the husband by chance gets a tax audit. The wife didn’t have to worry about the outcome of the tax audit because she was fully indemnified.